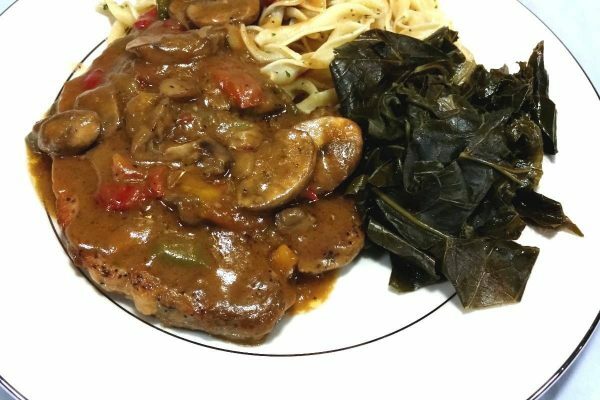 Mouthwatering Smothered Pork Chops. 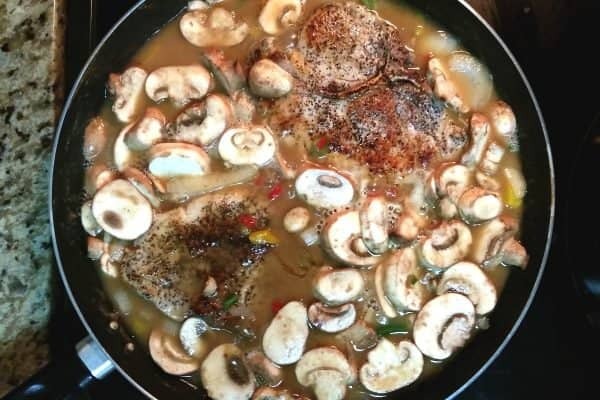 Thick cut pork chops smothered in gravy onions, peppers and mushrooms. 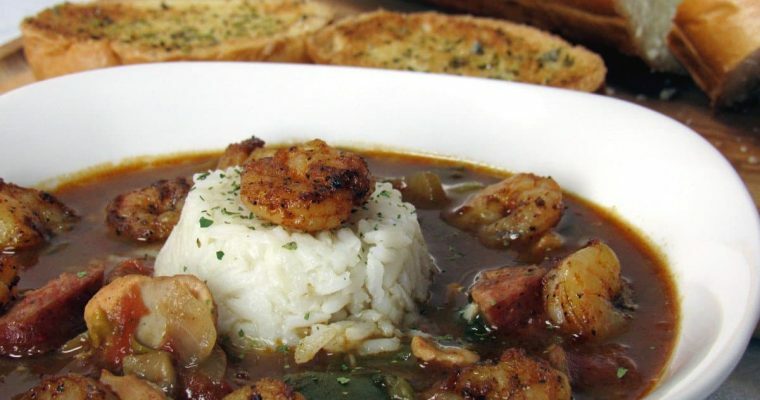 Just makes your mouth water, doesn’t it? 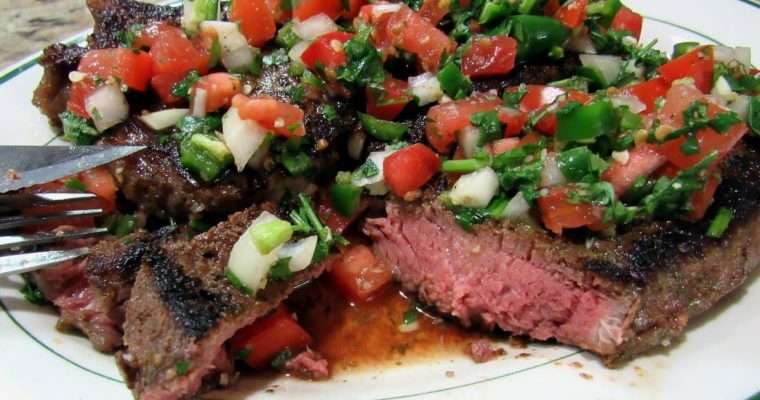 This is an easy recipe to make and it doesn’t take long. 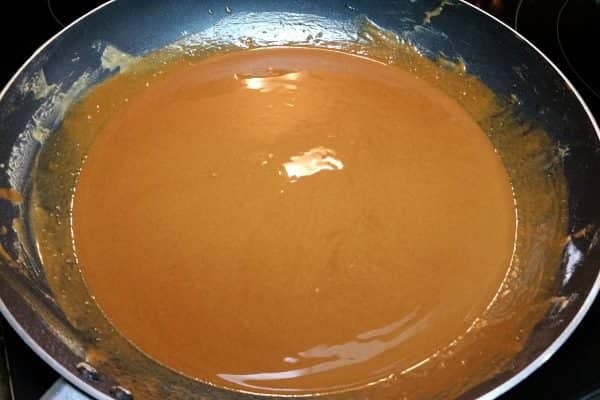 To save a little time, you can skip the gravy making steps and use a packaged gravy mix. Serve over seasoned egg noodles, rice or mashed potatoes and dinner is ready. 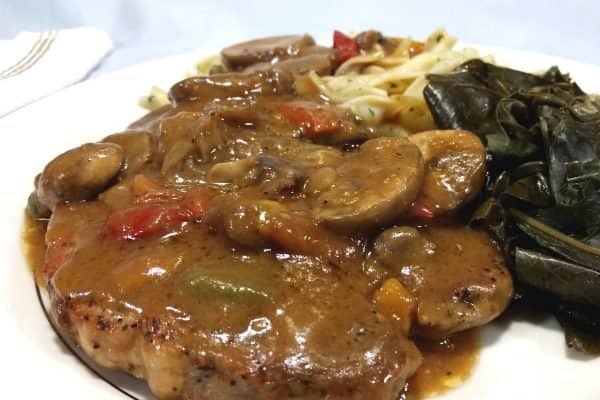 Mouthwatering Smothered Pork Chops. Thick cut pork chops smothered in gravy onions, peppers and mushrooms. Just makes your mouth water, doesn't it? 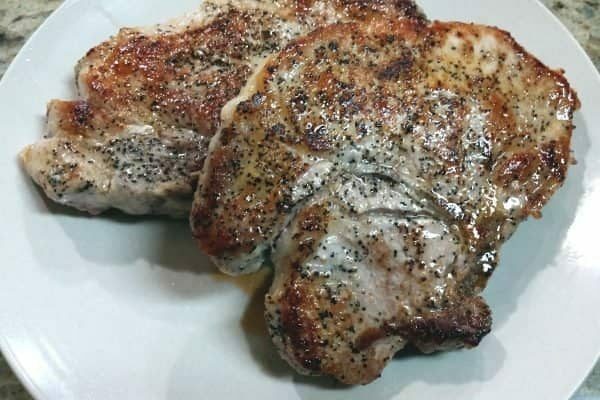 2 Pork Chops Thick Cut 1"-1 1/2"
Heat a skillet over medium-high heat with just enough oil to coat the pan. 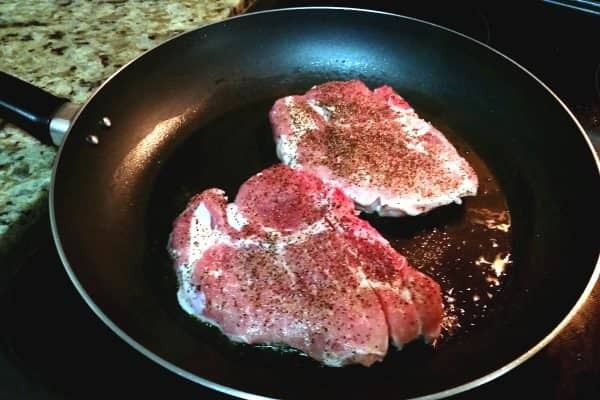 Season your pork chops with salt, pepper and garlic powder and brown 2 minutes per side. 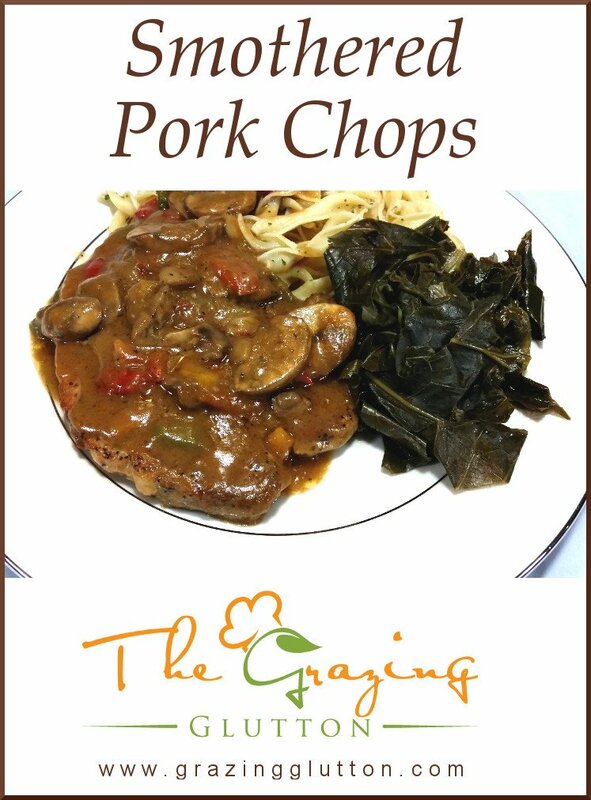 Remove your pork chops from the pan and set aside on a plate. Lower pan heat to medium and add oil, butter and flour to the pan. Brown the mixture, stirring often and being careful not to burn. 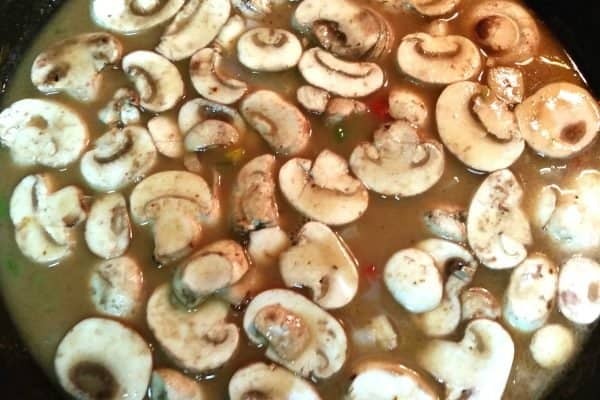 Carefully add broth, mushrooms and onion-pepper mix and bring to a simmer. Add chops and simmer until your gravy is the desired consistency.